I think it’s such a shame that people don’t print photos as much as we used to when I was little. Athena will often ask to look at the photos on my phone, which is a bit sad really as although they’re there I clear them off onto a cloud drive at the end of the month so it’s just recent ones to look at. I do try and print out photos of our most precious memories, birthdays, Christmases and holidays but am not great at keeping on top of it! I’ve used Cheerz before to print off photos to put in thank you cards and for fridge magnets so know how easy the app is to use to print of instagram photos or anything you upload yourself or from google or facebook too! 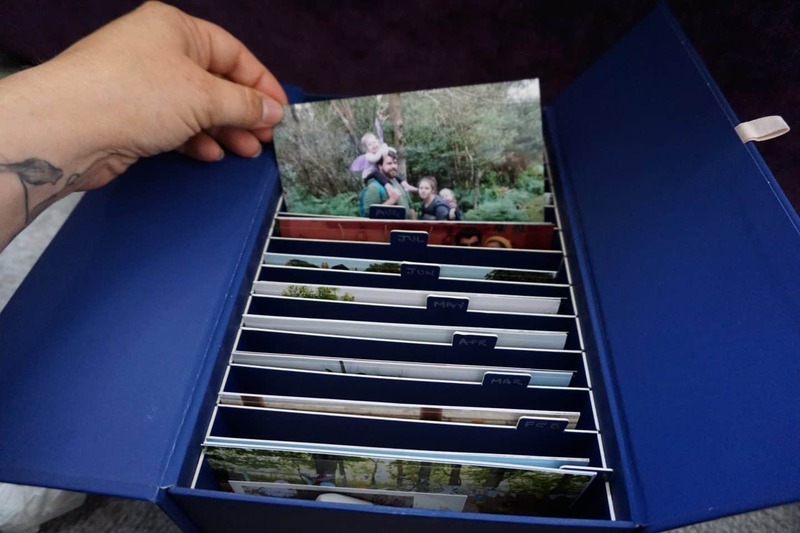 Cheerz offered me their Memory Box, and I knew exactly what I’d use it for… storing memories! 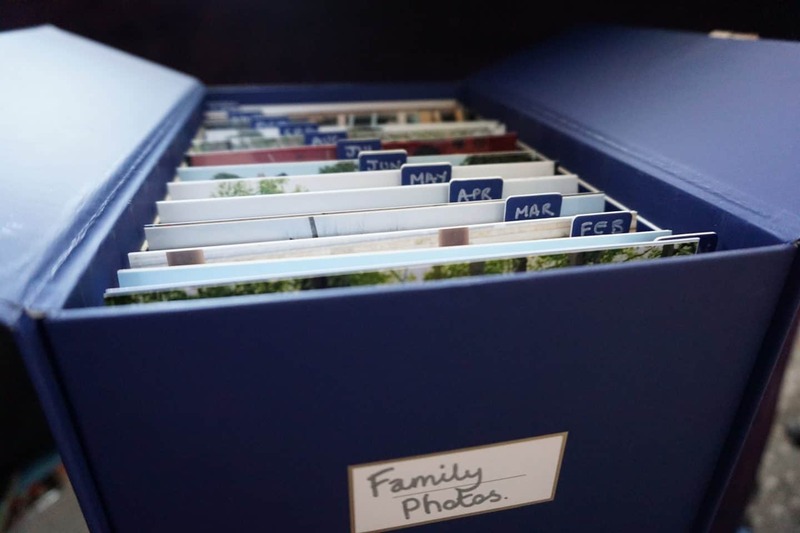 Okay, rather obvious that one but more specifically the 12 dividers meant that I could easily label them with the months of the year and store all our Siblings and Me and Mine photos in them! I’ve printed all the old ones and every six months I’ll order the recent months photos to keep on top of it! Then years down the line we’ll have a gorgeous photo catalogue of how we’ve changed and grown as a family! They do a few versions, one specifically for baby photos which would make a great gift for new parents, as with the credits included they just need to use the app to order their photos with no major effort at all! I also got Athena to pick out the photos she wants to use in her ‘All about Me’ box that her school have asked her to bring on her first day. She’s meant to put in memories, toys, certificates, anything she might want to show her teacher and new friends really. 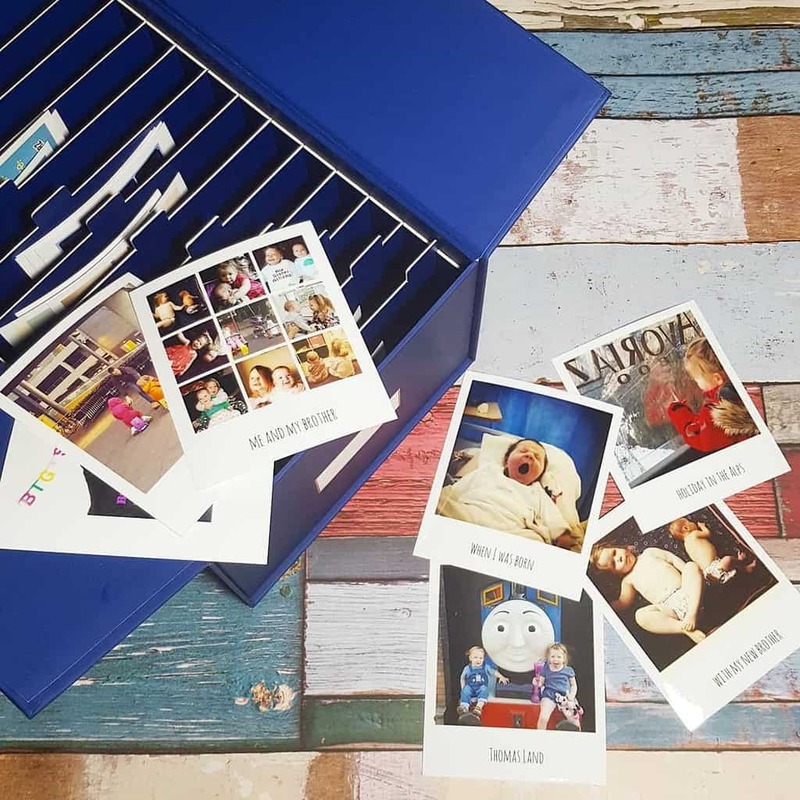 The retro photo prints seemed perfect as I could type what the memory and they’d arrive pre-printed at the bottom, no need to mess about with a sharpie to label them! You can also get 10% off any order over £20 on Cheerz using the code RR68UK – You can use it on the app or online, and feel free to share it! I was sent a Cheerz Memory Box to include in this post.